Minimum quantity for "Goody Classics Finishing Touch Elastics 7CT" is 12. Minimum quantity for "Goody Claw Clips 9PC" is 12. Minimum quantity for "Goody Cloth Headwraps 6 PC" is 12. Minimum quantity for "Goody Contour Clips" is 12. 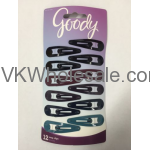 Minimum quantity for "Goody Contour Clips 12 PC" is 12. 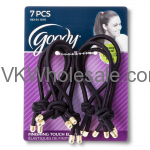 Minimum quantity for "Goody Contour Clips 12PC" is 12. Minimum quantity for "Goody Girls Jewel Flower Terry Ouchless 16PC" is 12. Minimum quantity for "Goody Girls Ouchless Patterned Pony O's - 30 Count" is 12. Minimum quantity for "Goody Glam Girls Hair Bows Ponytail Holder Assorted Colors 18 CT" is 12. 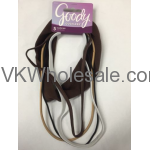 Minimum quantity for "Goody Headbands Brown Ouchless Headwraps Assorted Thickness 5 CT" is 12. Minimum quantity for "Goody Heavy Metal Mini Half Claw Clips 12PC" is 12. 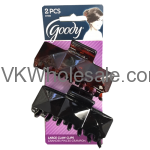 Minimum quantity for "Goody Large Claw Clips 2 PC" is 12.